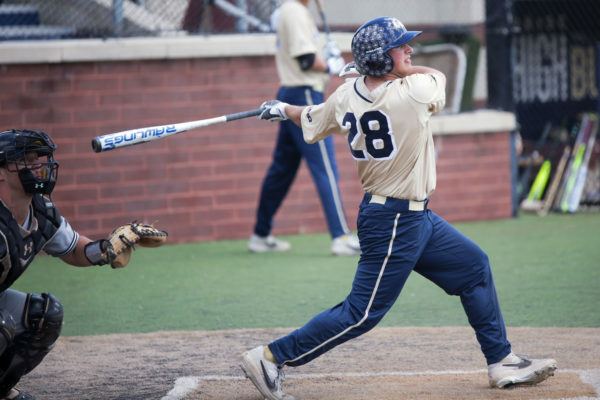 She has become one of the most recognizable faces of GW Athletics, but she doesn’t play for any team. She’s Kate Bell, and to know her is to know the heart and soul of GW’s school spirit. Serving her second term as president of the Colonial Army, GW’s fan section, Bell has a larger-than-life personality that is a force to be reckoned with at most sporting events – both at home and away. This upcoming basketball season kicks off Bell’s last year with the Colonial Army, as the philosophy major will graduate in the spring. For Bell, it means she has one more opportunity to grow the Colonial Army’s inclusive culture and to cheer on GW’s two basketball teams alongside the army’s 3,000 members. “My main goal, my mission, for the past few years has been creating a space where students can escape from whatever they’ve got going on outside of the Smith Center,” Bell said. And it seems that she can consider that mission accomplished. In her two years as president, nearly 1,500 students have joined the Colonial Army, and the home game attendance record has been broken six times over, Bell said. The Bailey’s Crossroads, Va. native first joined the Colonial Army after she started attending games with hopes of finding friends as a freshman. But eventually, Bell said she found her niche first on the “Street Team,” a group of students who she described as “an outreach squad” for sporting events by putting up posters and advertising for games. 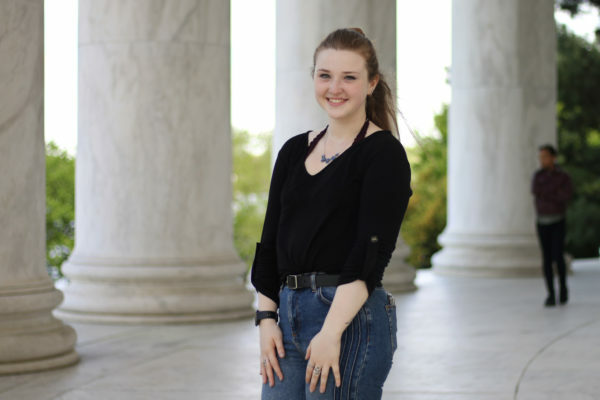 She joined the group’s executive board her sophomore year. Since then, Bell has continued to nurture the same atmosphere that made her feel at home as a freshman. “If you want to come out and meet new people and feel welcomed, that’s what [the Colonial Army] is here for,” Bell said. The presence and energy of the Colonial Army at both men’s and women’s basketball games has become a key factor in making the Smith Center “one of the toughest places to play in the Atlantic 10,” Bell said. Last November, men’s basketball marched to one of its most stunning upsets in 20 years – taking down No. 6 Virginia 73–68 in front of a raucous home crowd. And with the tumultuous events of the preseason finally settling for the men’s team, Bell said she knows the squad needs extra support this season. 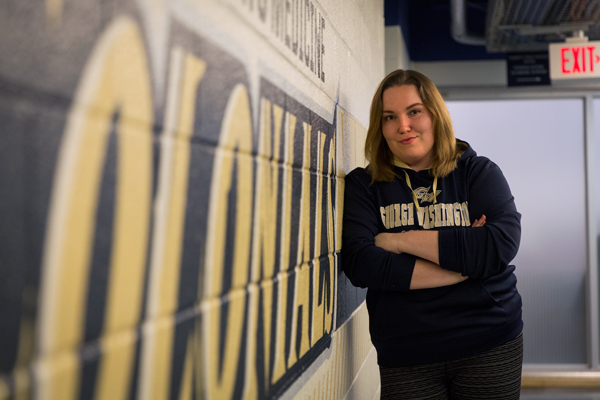 It’s clear Bell is a beloved figure in GW’s athletics culture, and after four years as the heartbeat of GW’s cheering section, Bell said the student athletes she has cheered for have become her friends, too. Bell said her final year as a Colonial Army member gives her “one last year getting to do what [she loves]” and reminds her of the bonds she has formed through the group over the past four years. “It’s a really cool feeling to be a senior and be able to walk through campus and just see so many familiar faces,” Bell said.